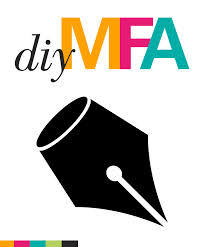 As always, feel free to share any comments you have either here or at DIY MFA! Some good reminders in this piece, Sara. I have a poetry night I’m running this weekend and I’ve already run some of these tips through my head. Since we started having poetry nights in my community, I’ve had to pretend to be very confident in order to talk other poets into performing. It turns out that just about all of us are nervous at these events. And in all honesty, we’re all so worried about swallowing our own tongues that we don’t notice when other poets slip up a little. So, I’m really on board with tip #4: Don’t judge yourself and your performance too harshly. We should all have a goal to improve our performances, but it’s really about sharing our work. And there’s something inspirational and healing in that aspect of it. Thanks, Mandie! I’m really glad that Tip #4 resonated with you. I think that, especially with younger or less experienced poets, they’re more self-conscious and afraid that the audience will judge them if their delivery isn’t perfect. (Plus, I’ve never encountered an audience member criticizing a performer, but have seen lots of compliments!) So I wanted to reassure DIY MFA readers of the same thing. If we focus on giving a good (not perfect) performance, enjoying yourself, and supporting the other performers, then we won’t feel so stressed about it.